Remember that recent article I wrote about how people value their online data much more than what extortionists are asking for when they hit them with ransomware? Well, extortionists seem to have caught on. Newest research paper from Symantec tells us that the average ransom demand is now £525, up from £223 at the end of last year. What’s more, the number of demands spiked to 56,000 in March, which is double the normal rate. Looking at new variants of ransomware, discovered this year, all but one were crypto-ransomware. Last year, 80 percent of new variants discovered were crypto-ransomware. The US is most targeted, absorbing 31 percent of all attacks. It’s followed by Italy, Japan, the Netherlands, Germany, UK, Canada, Belgium, India and Australia, which together make the top ten. With attackers increasingly targeting organizations, employees are now victims in 43 percent of cases. The Services sector is by far the most targeted one, with 38 percent of all corporate infections. Symantec says that new variants pop up every day, which is why it’s important to update security software regularly. 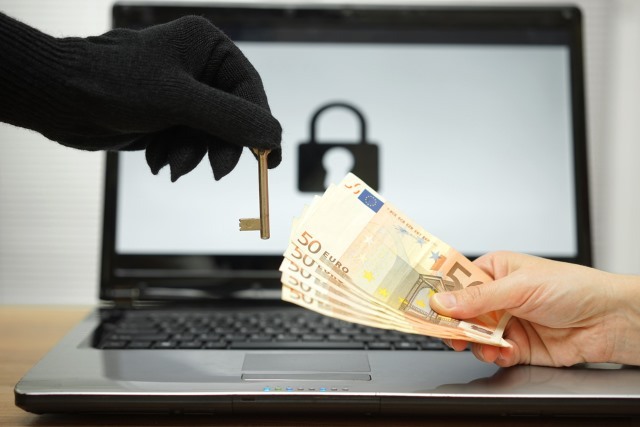 Besides the security software, keeping your operating system, as well as other programs, updated, lowers the chances of you catching ransomware. Email, being the main infection method, should be monitored closely. Symantec advises everyone to delete all suspicious-looking emails, and not to download or open any links or attachments. The best way to combat ransomware is to back up your data, so make sure you do it regularly, as well.